Engineer at EasyPost. Formerly at Uber. Has used Phabricator since 2013. Roguelazer on GitHub/Twitter/etc. jbrownEP updated the title for P2115 panel_fix_pagination.patch from Masterwork From Distant Lands to panel_fix_pagination.patch. jbrownEP added a comment to T9069: arc patch can't handle binary file correctly. jbrownEP added a comment to D20225: Fix a log warning when searching for ranges on custom "Date" fields. jbrownEP added a comment to D19960: Upgrade Sendgrid to the modern mailer API; removes "api-user" option. Is it worth noting somewhere that the V2 API uses a username and password to authenticate (and cannot use an API key) and the V3 API uses just an API key (and cannot use a username or password), and those are generated/managed in totally different parts of the Sendgrid UI? Maybe a note in the documentation? 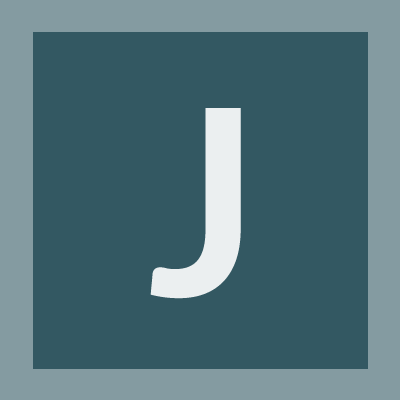 jbrownEP added a comment to T3071: add support for OpenSearch to phabricator. There's demand for OpenSearch support at our installation; I have a patch that implements non-typeahead OpenSearch built and working, but I figured I'd bump the ticket in case anyone else was interested. jbrownEP awarded T929: Allow two arbitrary revisions to be compared in Diffusion a Like token. jbrownEP added a comment to T9821: Allow Harbormaster build plans to run on branch push instead of per-commit. Having looked at the code some more, I see when the HeraldPreCommitRefAdapter runs, there is no parsed commit object yet, so there's no way to invoke harbormaster (what would the container PHID be?). This kind of makes sense. jbrownEP added a comment to T11002: permit wildcards in OWNERs paths. Yeah, that was the commit that reminded me how I wanted this. Unfortunately, it looks like the database still stores literal repositoryPHIDs, so the schema would need to change if it were to handle functions (which is why I bumped the ticket instead of taking a stab at implementing it myself first). I figured I'd add my voice to the ticket for now and continue toiling along with complex Herald rules for now. jbrownEP edited the content of Organizations Using Phabricator. I don't suppose there's been any interest in adding wildcards/function matchers to Owners in the last couple of years? jbrownEP added a comment to T11415: Would like people who can't edit Harbormaster plans to be able to run them. I am also interested in this; it's not uncommon that an engineer is testing a regression somewhere and wants to trigger a full CI build of an old revision. Today, their options are (a) have admin access to the Harbormaster Build Plan, which requires a large amount of trust or (b) bother someone who does have admin access to press buttons.